Whether you have a multi-clinic organisation, private practice, or outpatient facility, physical therapy billing software can significantly improve the performance of your clinic by capturing accurate and comprehensive documentation at the point of care. Therapy billing software helps to automate and streamline the clinical and financial systems, allowing physical therapists to spend time on providing efficient patient care rather than spending it on tedious administrative processes. Reduce claim errors: With minimal rejection of claims, the software helps to pay your claims faster and maximize your compensation. It helps to eliminate double data entry with automatic synchronization of all billing information, thus reducing any errors. Your clinical staff can track unpaid claims, billable amounts, and receivables more effectively, helping to simplify the entire insurance process. 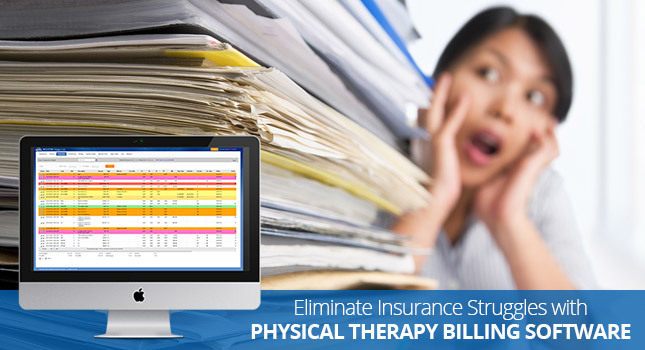 Instant notifications : With physical therapy billing software, you instantly get notifications through emails whether the claim is approved or rejected, helping you to be in complete control of your billing process. Save money and maximize your clinic’s revenue : With no room for human errors, PT billing software ensures timely claim submission with accurate information, resulting in consistent cash flow for your practice. Increased accuracy in coding leads to faster payments, and efficient reimbursement process helps you get paid more quickly. In the long run, it helps you save money as it provides you with documentation, scheduling, and reporting functions, leading to positive cash flow. Remain updated : PT billing software keeps you updated on Insurance reimbursement policies, Medicare policies, and latest insurance news. Checking regularly for new change can be a tedious task, and missing any of the important updates can result in denial of claims. With Physical billing software you remain at the forefront of the system, ensuring that all your claims are received and accepted. Billing partner : Our therapy billing software works as your partner and helps in the prompt submission of your claims, and also investigates and appeals denials from insurance companies. With responsive technical support ready to help you in any glitch, it helps physical therapists to focus their attention where it should be: on your patients. With EMR solutions like Apollo Practice Management, practitioners need not shoulder the compliance burden on their own. They can receive vital support to manage insurance compliance more effectively and accurately.